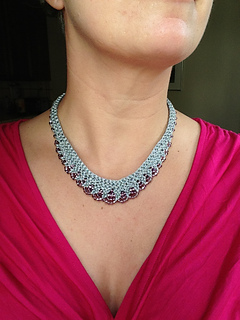 This 1920’s inspired necklace will captivate you. 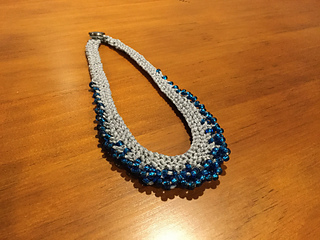 It is hard to only make one once you start combining different bead and yarn colors. They are wonderful as gifts for women of all ages. 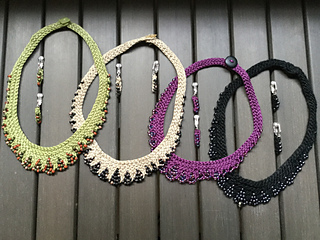 The pattern is written for two sizes: 16” and 18” length and calls for sport-weight yarn or thicker “chainette” yarns that can contract to thread the beads. Stella, from S.Charles, is a wonderful yarn to use for this reason. The pattern now includes a chart for visual knitters - even if you’re not a visual knitter the chart may help you understand how the beads and stitches line up with one another. This chart also makes it easy to string your beads in fun color patterns! Additional materials: size 6 seed beads, beading needle, and a US C/3 crochet hook for making the button loop at the end. You can use circular or straight needles, but if you cast on tightly the circulars will catch the stitches and never let them go! As a first-timer with this necklace (or a first-timer working the backwards loop cast-on), straights might be the way to go. 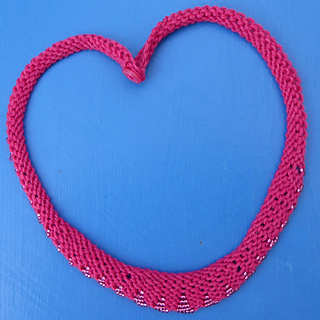 I recently made one of these necklaces with Koigu Kersti (all wool) and it worked very nicely - so I think you can be creative in your yarn choices. 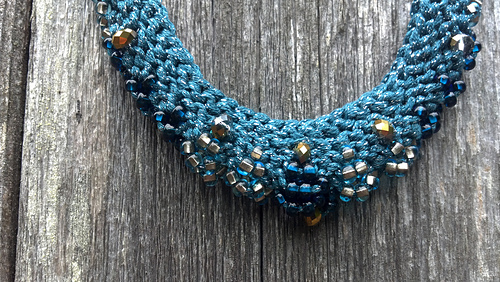 Just keep in mind that certain yarns will be more stretchy and your necklace may grow from the weight of the beads.